With astounding animation, inspirational messages, and endearing characters, Pixar Animation Studios (THE INCREDIBLES, CARS) and Walt Disney Pictures have whipped up something special with RATATOUILLE. 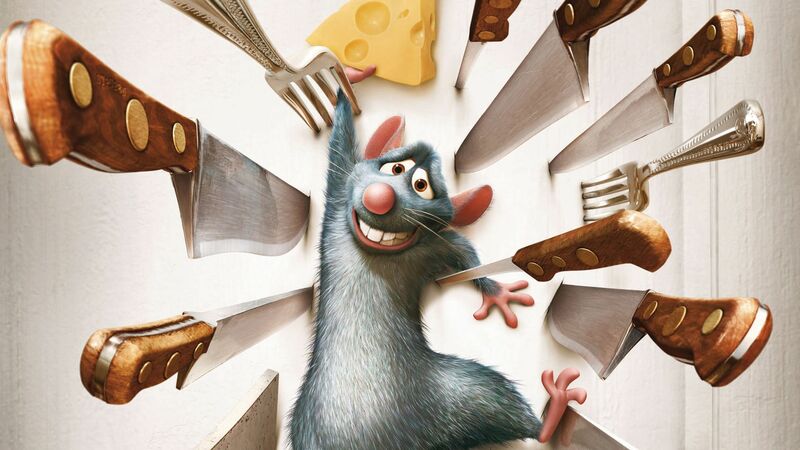 A rat named Remy (Patton Oswalt) lives in Paris with a dream (and the talent) to be a chef. Opting to raid the kitchens of Paris rather than the garbage cans and sewers of the city with his family, Remy is inspired by the philosophy of one of the city’s most legendary chefs, the late Gusteau (Brad Garrett). One night, Remy can’t resist practicing his skill in Gusteau’s restaurant. While his guard is down, Remy is discovered by a klutzy young man, Linguini (Lou Romano), who cleans the kitchen. Together Remi and Linguini become a culinary duo, with Remy playing puppeteer by concealing himself under Linguini’s chef’s hat. Remy pulls Linguini's hair to direct his hands, helping to bring Remy’s creations to life. Soon Gusteau’s restaurant becomes the talk of the town--but would it still be the toast of Paris if everyone knew a rat was running the show? 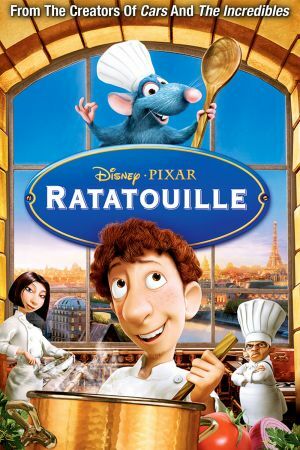 The positioning of a city-dwelling rodent with a distinct palate and the aptitude to concoct mouthwatering dishes in one of Paris's finest eateries is the winning ingredient in RATATOUILLE’s inspirational presentation. And Remy’s brave conviction to break away from the pack and risk his life for what he loves and believes in gives the film a positive and heartwarming message for all ages.